Ford Group Philippines is taking advantage of social networking craze in the Philippines with the local introduction of the Ford Fiesta via Facebook and two other online portals. Every week from June 18 to September 30, Ford will be giving away five limited-edition Ford Fiesta 1:18 scale models to Filipino Facebook users who "Like" Ford's Ford Fiesta in the Philippines page and fill out the online registration form (don't forget to click on the 'Fiesta Giveaway' tab). The promo is open to roughly nine million Pinoy Facebook users. "Ford Group Philippines connects with a new generation of Filipinos who live their lives connected to the digital space," said Steven Tan, Ford Philippines vice president for marketing and sales. "Our experience across the world tells us that the Ford Fiesta is the vehicle of choice for these active breed of bold, stylish and confident individuals who love to be engaged through different touch points." Ford Philippines has also introduced www.ConnectWithFiesta.com where local Fiesta fans can get updates on the upcoming car as well as connect with Fiesta followers elsewhere in Southeast Asia. The names of the winners of the Ford Fiesta scale models in Facebook will also be posted on this site. Meanwhile, Ford Philippines' corporate website, www.Ford.com.ph, will act as an online showroom and product information gateway for the Fiesta. As part of its digital campaign, the site will practice permission marketing to capture visitors' basic information to support updates and marketing information prior to the Fiesta's public launch. "Through these new online portals, we begin the Ford Fiesta story in the Philippines," Tan said. "The months ahead will truly be exciting." 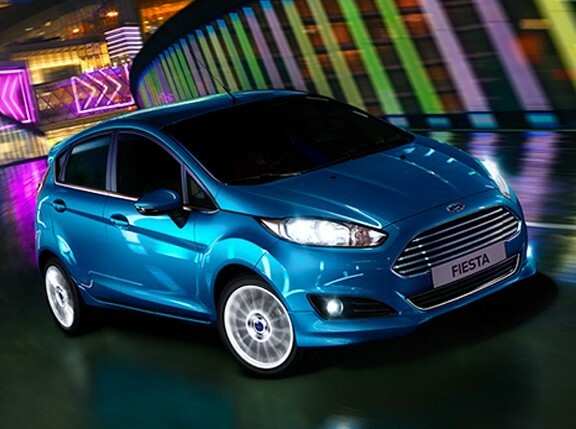 Want to see the all-new Ford Fiesta up close? Check out the Ford Fiesta display at the Bonifacio High Street East Block in Taguig City until June 6. How much would you shell out for Ford's incoming car? Let your voice be heard on TopGear.com.ph's Price This Car featuring the Ford Fiesta.